Fashionscapes - Mark Your Calendars! I am quite excited to be working with photographer Kyana Taillon to put together The Wardrobe's next event! On Friday, November 12th at 7pm, The Wardrobe will host "Fashionscapes - A Photographic Exhibit that Features Local Women Making a Difference in Our Community." The exhibit will include portraits of influential Davis area women. Subjects include Ann Murray Paige, whose personal battle with breast cancer lead to the founding of Project Pink, a non-profit organization aimed to help women cope. Other women featured include entomology professor Diane Ullman and local artist Donna Billick, co-directors of the Art-Science Fusion Program at UC Davis, Autumn Labbe-Renault, executive director of Davis Media Access, Heidy Kellison, community activist and Erie Vitiello, executive director of the Davis Art Center. Believing in our community, in our work, and ourselves is the inspirational theme for Fashionscapes. The Wardrobe is more than just a fashion boutique. It is a place that inspires joy and personal transformation through self-expression with fashion. 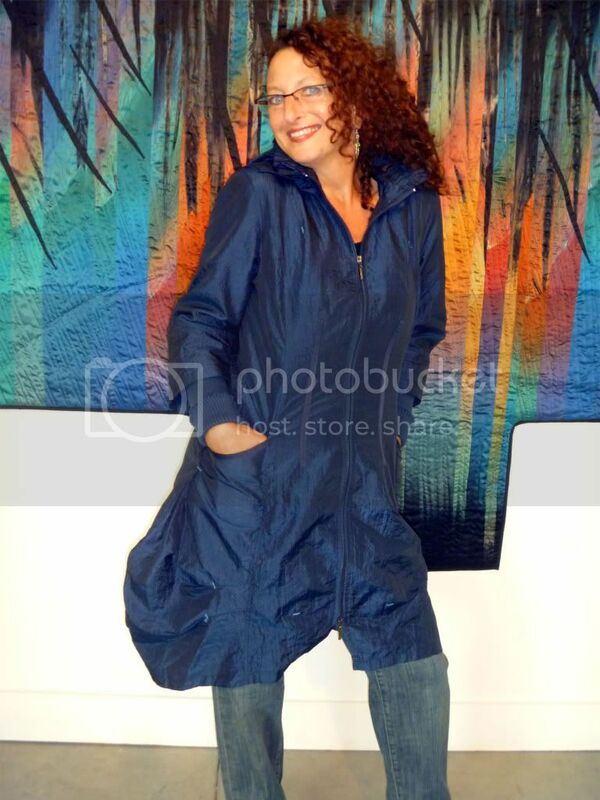 Raincoats are now coming in just in time! As the days get longer, we here in Davis know what that means: rain! This year, I'm very excited about a new French line I've discovered. 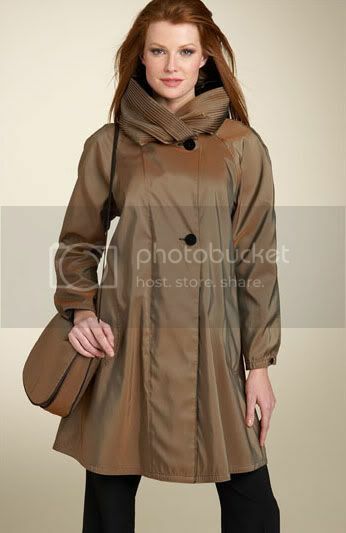 Pile Au Face makes really jazzy clothing, and their raincoats are my favorite this season. With a fleece lining and a detachable hood, this raincoat is definitely a 5-star. Today, we also received Mycra Pac raincoats. These coats come with a coordinated bag, and are reversible. Described as "The ultimate unstructured travel coat," Mycra Pac is sure to be a hit for the classy traveler this Fall. Breast Cancer Workshop this Sunday, October 10th from 10 - 1! When women heal, the world heals. In honor of Breast Cancer Awareness Month, Heather Caswell presents a three hour workshop that will focus on the healing power of color, beauty, and self-adornment. Learn how to intuitively choose colors and styles that will help you look and feel your best. Featured will be an accessories lab on the art of tying scarves by local artist Katy Brosky. Local hat designer, Norma Rice, will also be demonstrating the art of wearing just the right hat. The class will be assisted also by Carol Klesow who has been teaching Color and Consciousness internationally for the past 15 years. Reservations are required and limited to 25 people. To make a reservation please email us at staff@thewardrobe.com or call the store at 530.756.1128 to sign-up. This is a free class. Donations are welcome and will benefit the Susan G. Komen Foundation in Sacramento.